Hurry, January Bookings are filling up fast. a 30% Discount. That’s a ($11.55) per room saving. Please call now as we are filling up fast. 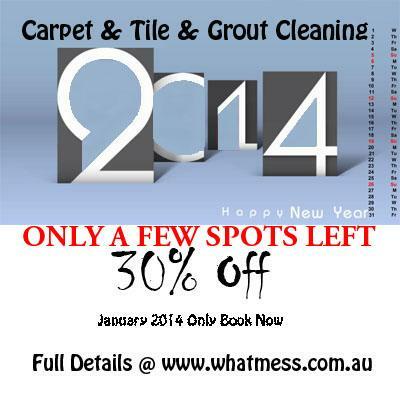 Min 4 Rooms of Carpet or 50sq metres of Floor tile and grout cleaning.